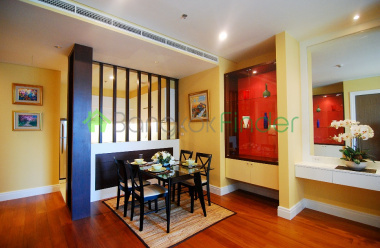 Affordable Phrom Pong Condo for Rent Bright Condo in the middle of Sukhumvit soi 24. Condo has 24 hour security, parking, and swimming pool. Contemporary 3 Bedroom Unit With Great View 146 sqm With a fantastic view of the city of Bangkok, this three bedroom and three bathroom unit is sure to provide you the comfort and relaxation you need after your busy day at the office. Spacious Duplex Type 3 Bedroom Unit With Elegant Interior 189 sqm This spacious and elegantly designed three bedroom and three bathroom duplex type unit is conveniently situated at the 21st floor of a high-rise building in the middle of the busy soi Sukhumvit - giving you both the comfort and privacy you need amidst the urbanity. It comes fully furnished and at a very competitive price. Elegant Duplex Type 3 Bedroom Unit With Contemporary Interior 189 sqm This elegantly designed three bedroom and three bathroom duplex type unit is located at the 25th floor of a high-rise building in the middle of the busy soi Sukhumvit, ensuring you get both the comfort and privacy you need and a cosmopolitan way of life. It comes fully furnished and at a very competitive price. Elegant Contemporary Unit in Phrom Phong 1 Bed 45 sqm This elegantly designed one bedroom and one bathroom unit is located at the 5th floor of a high-rise building in the middle of the busy soi Sukhumvit, ensuring you get both the comfort and privacy you need and a cosmopolitan way of life. It is currently available for sale at a very competitive price. Luxurious 4 Storey Town House For Rent 340 sqm This luxurious 4-storey town house has three bedroom and two bathroom unit with a modern oriental interior. It comes fully furnished and is currently available for rent at a competitive price. 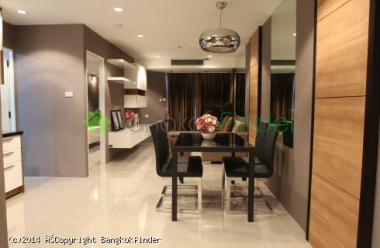 Very Elegant 2 Bedroom Unit In Thong Lo 144 sqm This very elegant two bedroom unit is conveniently situated at the heart of the cosmopolitan area of soi Sukhumvit - giving you easy access to what the city of Bangkok has to offer. 1 Bedroom Unit in Phrom Phong With Unblocked South View 52 sqm This cozy one bedroom and one bathroom unit with a contemporary interior has a fantastic view of the southern part of Bangkok from the 24th floor of 25-storey building in the cosmopolitan area of Phrom Phong. It provides you the privacy and comfort you need after a heavy day at the office. Luxurious 1 Bedroom Unit Phrom Phong 70 sqm Experience the lavish cosmopolitan lifestyle in this spacious one bedroom and one bathroom unit with a very elegant interior design. It is situated in one of the best residential areas in the center of soi Sukhumvit to ensure residents get the balance of comfortable, private and cosmopolitan living. Cozy 1 Bedroom Unit in Phrom Phong 51 sqm Perfect for a busy professional, this one bedroom and one bathroom unit is available for rent at a very competitive price! It is located on the 23rd floor of a high-rise building in Phrom Phong giving it a fantastic view of the city of Bangkok and easy access to numerous business and shopping facilities that Sukhumvit has to offer. 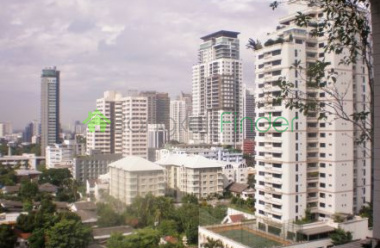 Contemporary 1 Bedroom Unit in Phrom Phong 50 sqm This contemporary one bedroom and one bathroom unit in Phrom Phong has a great view of the city of Bangkok from the 12th floor of a 25-storey building. It also has an easy access to what the city has to offer with the different shopping and dining facilities surrounding the building. 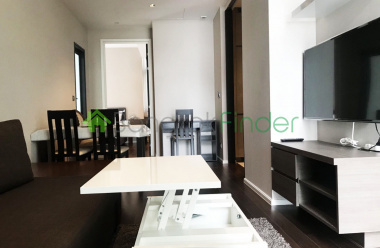 Cozy Contemporary Unit in Phrom Phong 1 Bed 50 sqm This cozy 1 bedroom unit in Phrom Phong offers a great view of the city from the 10th floor of a 25-storey building. It also has facilities readily available for all residents such as a swimming pool, a fitness room, a sauna, a children's playground and a wonderful garden. A perfect unit to come home to after a busy day at the office. Spacious 2 Bedroom Unit in Phrom Phong 146 sqm This spacious, contemporary two bedroom unit has a great view of the city as it is situated on the 16th floor of 23-storey building in the heart of the busy soi of Sukhumvit. It offers privacy, relaxation and enjoyment with its 24-hour security, swimming pool, jacuzzi, steam room, children's playground, fitness room, jogging tracks, and garden. Large 2 Bedroom Unit with Asian Interior 160 sqm This large two bedroom and two bathroom unit with Asian interior design located on the 14th floor of a 23-storey building is currently available for rent at a very competitive price. 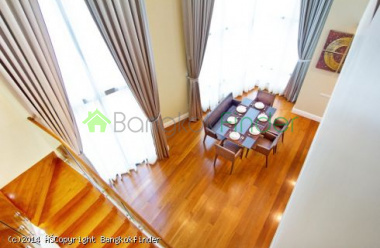 Elegant 2 Bedroom Unit In Phrom Phong 88 sqm An elegant two bedrooms and two bathroom unit conveniently located in the middle of the busy soi Sukhumvit available for rent at a competitive price. It is just within a short walking distance to a number of great dining and shopping centres like the Tops Market, the K Village, the Seafood Market and Restaurant, and the Wagyuyaki Steak House. 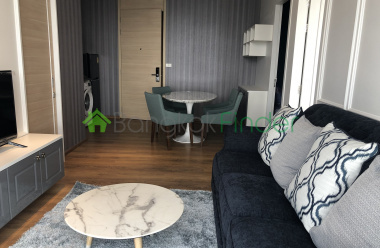 Contemporary 1 Bedroom Unit in Phrom Phong 60 sqm Situated on the 15th floor of a 34-storey building in the cosmopolitan area of Sukhumvit, this contemporary 1 bedroom unit is sure to provide you the comfort and privacy you need. It also has great amenities provided within the building such as a luxurious lounge area, a fitness area, and a swimming pool.